Such benefits can show an immediate return on investment and make your call center even more profitable. Our Software Development Toolkit allows C/C++ programmers to create IVR applications on a wide range of Linux, Unix and Windows servers. Most IVR systems are built into the phone system or are self contained programs running on a separate system, allowing limited access to outside applications. PACER and WIZARD IVR systems operate in a client/server environment and the script that controls our IVR systems can be developed on the Pacer Phone System, on a system residing on the same network as the Pacer, or even on a system that resides on the Internet. This interactive voice response program can run on the same server that contains your data and application programs. There are several advantages to using this technique. 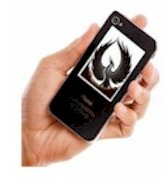 IVR applications now have complete access to all the information available to your existing database programs. The IVR system can perform functions such as dealer lookup, account update, or information access, and simply pass the results back to the PACER interactive voice response system to be played to the caller. IVR applications can be developed using traditional programming languages such as C, C++, or even COBOL through a rich set of IVR software API�s. We also provide you with our own IVR software scripting language called EZTRAN (which runs on Windows, Unix, or Linux) for the development of IVR applications. 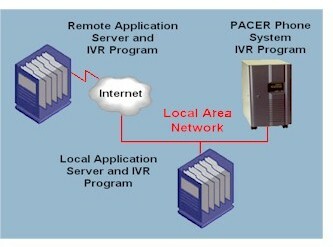 Upon receiving a call, the PACER phone system uses the DNIS to check for an IVR script. The IVR CLIENT process invokes a server process on the application server and starts a two-way communication with the IVR SERVER. An EZTRAN program controls the flow of the IVR Script by prompting the caller and requesting key input or directing the caller to another DNIS, extension, or Voice Mail. In the process, this EZTRAN program can perform any TELEMATION function including report generation, customer information lookup, etc. PACER IVR can also initiate outbound calls and prompt the called individual with the same messages (and text) and accept phone key input from this individual as well. The caller and called individual can likewise be �connected�. The PACER and WIZARD phone system now includes a new setup window for IVR scripts. Upon definition of a DNIS entry, the administrator can designate that callers on this DNIS will be automatically routed to an IVR script. ivr_speak_address() - Reads address, street name, apartment, etc. All of the wave files currently in the package can be re-recorded by your own voice actor or actress. When making changes or additions, make sure to keep the wav files in 8 bit Mono / 11.025 kHz. Making a backup copy of the original voice set is always recommended.